Iran's currency nosedived to another record low of 100,000 rials to the dollar on Sunday, sparking fears of a deepening economic crisis amid the looming return of full US sanctions. Over the last four months, the rial has lost 50% of its value against the dollar and there is little sign the situation will improve. Iran's economy is expected to slide further after the US imposes sanctions on the country in the next two weeks. US President Donald Trump withdrew from the 2015 Iran deal in May, which lifted international sanctions on Tehran in return for curbs on its nuclear programme. In August, the US will reimpose those sanctions on Iran’s ability to purchase US dollars, as well as any world trading in Iran’s gold, coal, steel, cars, currency, and debt. Later in the year, the US will also sanction Iran's oil and energy exports and transactions with the central bank. European leaders have desperately tried to salvage the Iran nuclear deal, but France said earlier this month that it was unlikely European powers could do so before November. 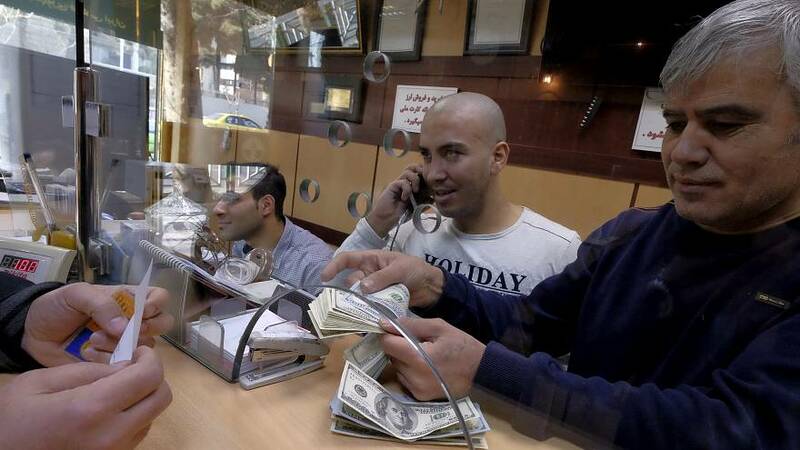 Iranians worried by the impending sanctions have rushed to buy dollars, gold coins, cars, and small apartments to store up their savings, while the severe shortage of hard currencies has pushed up the price of goods. Merchants in Tehran's Gand Bazaar have been on strike saying they can no longer afford to buy goods to stock or sell them to customers. Iran's moderate President Hassan Rouhani tried to stem the currency crisis in April by imposing a fixed rial-dollar exchange rate and banned hundreds of imported goods, which pushed the price up of many products. The challenge for the government now is managing public frustrations with the high cost of living, while working with European leaders who believe the nuclear deal should be saved. How can the EU save Iran nuclear deal?